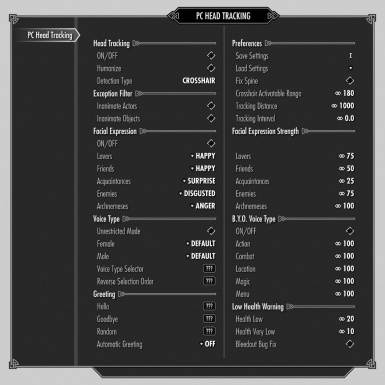 This mod allows the player to use head/eye tracking animations, voice type selection and custom voice function, in consideration of performance and stability. All the options can be individually enabled or disabled. [PC Head Tracking - MCM.esp] Fixed that some vanilla shouts could be temporarily silent if spammed. [_MAGVoiceEvents.pex] Some voice events are now disabled while an enemy is performing a killmove against the player. Optimized the handling of the speaker detection. Fixed that the 'Death' event could not be triggered correctly. Added the 'Lockpicking Success' event to the Menu category. This works for locked container objects and not for door objects. Optimized the pseudo mouth animation feature. Fixed that the chance settings was not effective to the 'Training Finish' event. The Combat Anger facial expression is now kept while in combat. Looking at inanimate objects now reverts the facial expression to Neutral. Fixed that the greeting keys did not work while sneaking. Fixed that it could cause a freeze when saving right after surfacing from the water. Due to this, mouth animation is now disabled for the 'Surfacing' event. The 'Trap Hit' event now works for a few more fire objects and explosive enemies. Excluded some dungeons in the Dawnguard DLC from triggering the 'Weather' events. Optimized the event handling of the 'Breath' category and improved the stability. Fixed a vanilla bug that the 'Exhaustion' event could be triggered each time opening a dialogue menu when Stamina is exhausted. Fixed that spamming the Greeting keys while sprinting could cause a crash. Fixed that enabling the Bleedout Bug Fix option during the intro dragon attack scene could make the player uncontrollable. Fixed that the 'Health Low/Very Low' events could be triggered at the same time with the 'Death' event. Concentration spells no longer trigger the 'Magic' events while sneaking as well as other spell types. The 'Death' event no longer be triggered when decapitated. The 'Weather' events no longer be triggered while sprinting. Added a new 'Breath' category which includes 'Eagle Eye Enter/Exit', 'Sprint', 'Surfacing' and 'Exhaustion' events. These breathing sounds now can be customized with audio files in the "Sound\FX" folder. Due to this, it no longer uses .fuz files in the "Sound\Voice" folder(/.bsa) for the breathing sounds. Applied pitch randomization for some voice events ('Attack/Fatigued', 'Attack Ranged/Full Draw', 'Power Attack/Fatigued', and 'Hit' events). Added interval between normal attack voices so it doesn't spam when the weapon speed is high. Added 'Dungeon' event in the 'Location' category. 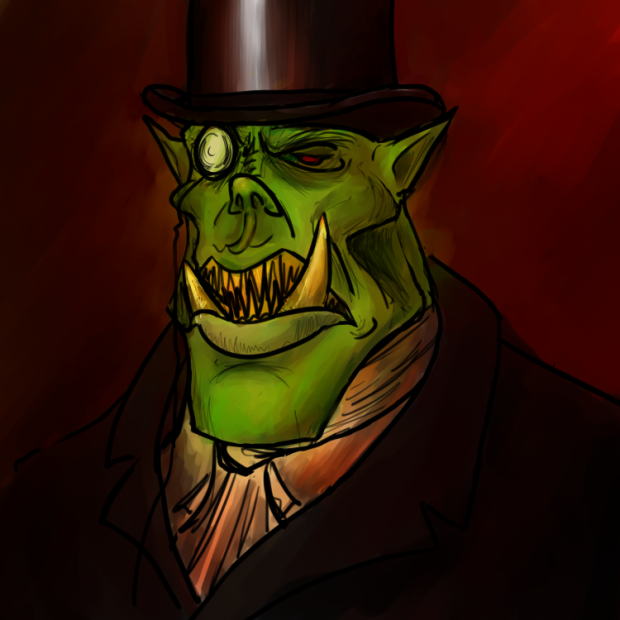 This event will be triggered when entered a dungeon and will not be triggered again in the same location for a while. 'Jump' event is no longer triggered while Stamina is exhausted. Fixed that 'Attack Ranged/Full Draw' events could be triggered at the same time with 'Killmove' event. Optimized the actor exclusion process for the Automatic Greeting function. Added 'Bleedout Bug Fix' option. This option fixes a vanilla bug that disables certain player voices after bleeding out (no voice when swinging weapons). Works also on savegames that already have this bug. Reverted the previous compatibility fix to fix that this option could not work properly. Fixed that the eye tracking function could work for door objects despite that they are excluded from the detection. Greeting hotkeys now support 'Male Dark Elf Commoner', 'Male Dark Elf Cynical' and 'Female Dark Elf Commoner' voice types. Fixed that the dropped items could be detected as actor very rarely. Optimized the crosshair detection process and improved the behavior and stability when the crosshair target was changing rapidly. 'Journal' event no longer works when the Journal menu is opened from the Map menu. Improved the compatibility between the eye tracking function and Mfg Console mod to keep its blinking animation enabled. 'Trap Hit' event now covers all the vanilla traps. Excluded some locations from triggering 'Weather' events to not spoil scenes. Optimized the event detection process of 'Trap Hit' and 'Location' categories. Changed the method to reset the eye tracking. This should fix that the player's mouth movement could be frozen until say something again. Excluded some conditions from triggering the automatic greeting to not spoil scenes. Optimized the processing of the Automatic Greeting. This should fix the lags of the greeting which could occur when the other mods were accessing the 'in-game day' variable at the same time with this mod. Excluded some locations from triggering 'Weather' voice events to not spoil scenes. Fixed that 'Weather Clear' event could be triggered when the current weather's classification is none. The Blizzard spell now correctly triggers the 'Blizzard' magic event even if "MagicDamageFrost" keyword is removed by bug fix mods such as USLEEP. 'Lockpicking' and 'Level Up' events now can be triggered when sneaking. The Automatic Greeting function now also works in first person. 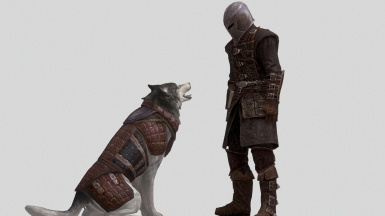 However, it roughly excludes actors in a scene, so the player may greet in some improper situations. Added pseudo eye tracking function which works when the Facial Expression option is enabled. Automatic Stop option now keeps forcing the player to look at the speaker while the dialogue menu is open. Changed the name of the Automatic Stop option to 'Humanize' as this option does more than just stopping the head tracking. Fixed that the target detection could not work properly when the crosshair target was changing too rapidly. Changed the requirement to PapyrusUtil from FISS due to the MCM registration problem. This should solve the problem that the MCM could not be registered for some users. The Load function now shows the list of the saved settings. The voice types obtained from NPCs by the Voice Type Selector now can be saved or loaded. The Voice Type Selector now notifies the voice type name (editor ID) when an unsupported voice type is obtained. The Voice Type Menu now shows the voice type name (editor ID) for voice types obtained from NPCs by the Voice Type Selector. Increased the available audio file numbers for the 'Magic' category to 5. Fixed that the greeting function did not work for the female default voice type if an unsupported voice type is set for the male character. Fixed that "Leave Water Breath" voices did not play the variations randomly for the non default voice types. The Automatic Stop option no longer stops the head tracking while the dialogue menu is open. The head tracking function now forces the player to look at the speaker when the dialogue menu is opened. Removed the 'Speaker Detection' toggle option and added 'Detection Type' option which allows to enable or disable both Speaker Detection and Crosshair Detection. Fixed that toggling the Automatic Stop option could enable the head tracking function even if it is disabled in MCM. 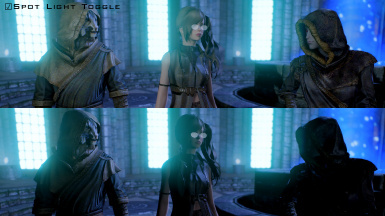 Added an example voice pack "Female Even Toned". Optimized the Save/Load Settings function. Some traps such as oil lamps and explosive gas now trigger the 'Trap Hit' custom voice event. Updated the scripts to avoid errors which could occur when a lot of NPCs start speaking at exactly the same time (e.g. when used KillAll console command surrounded by many NPCs). Speaker Detection now works more stably. Changed the default value for the Custom Voice volume slider to 0.9 from 1.0. Added 'Fix Spine' option. If this option is enabled, the player moves only the head to look at the target and the spine remains unaffected. Poison gas traps now trigger the 'Trap Hit' custom voice event. Changed some default values for the Facial Expression option to make the player's reaction for acquaintances more noticeable. Added 'Speaker Detection' option which automatically detects a nearby actor that is speaking. Note that this option requires a brawl bug fix mod in order to prevent the brawl from turning into a real fight. Custom voice volume is now adjustable with the slider which is accessible from the System tab (System > Settings > Audio). Included a vanilla bug fix which sets the 'Uses Head Track Anims' flag for High Elf vampire race correctly. Added the following custom voice events for B.Y.O. Voice Type option. Increased the number of the available audio files for the 'Greeting' category (to 10 from 5). Added 'Health Low' events which work in sync with the vanilla low health warning effects. Added pseudo mouth animations for the custom voice events. The 'Jump' event now also works when riding a horse. Fixed that the chance settings for the custom voice events could not actually be set to 0%. Excluded some conditions from triggering the 'Weather' custom voice events. Race switch detection now works more properly. Fixed that the head angle control in the character customization menu could be stopped working after switching races. Fixed that the 'Dragon Riding' custom voice event could be triggered when dismounting from a dragon. Enabling 'Automatic Stop' option in the MCM now automatically re-initialize the head tracking. Updated the script to trigger the 'Killmove' and the 'Hit' events more successfully and stably. Excluded some conditions from triggering the 'Location' and the 'Magic' custom voice events to not spoil some scenes. Updated the script to avoid "cannot have expression" error which can rarely occur when the facial expression option is enabled and the player is reverted from Werewolf or Vampire Load forms. Fixed that voice type options could be applied for Werewolf or Vampire Load forms if the game is saved or loaded while the player is transformed into those forms. Excluded certain conditions from triggering 'Location' event in the B.Y.O. Voice Type option to not spoil certain scenes. Various fixes and improvements below for B.Y.O. Voice Type option. Fixed that Bloodcursed Arrow and Sunhallowed Arrow were reversed in the script. Excluded explosions from triggering the 'Hit' events. Added interval for the 'Hit' events. Excluded special furniture from triggering the 'Chair' event. No longer triggers 'Chair' event when getting up from a chair. Concentration spells now trigger only when the beginning of the casting. Added 'Level Up', 'Lockpicking', and 'Training Finish' event to the 'Menu' category. Added 'Greeting' category which works when the greeting hotkey is pressed. Increased the number of audio files for the 'Location' and 'Menu' category. Added description text files into each of the folders to allow NMM to install the folders which were blank. Enabled breathing sounds (Sprinting, Eagle Eye etc) also for non default voice types. The options will now automatically be re-enabled after a race change. Added 'B.Y.O. Voice Type' option. With this option enabled, you can build your own voice type by installing your audio files. Added 'Exception Filter: Inanimate Objects'. Excludes inanimate objects from the crosshair detection. Added 'Save/Load Settings' function which requires FISS. Updated the scripts to allow vampires to use the Greeting feature and facial expressions. Added the following voice related options. You can select voice types for each female and male player character. Tries to obtain a voice type from the current crosshair target when the mapped key is pressed. If failed or the crosshair target was nothing, selects a voice type in the list in a cyclic way. So you don't have to open MCM each time to change the voice type. If disabled, the voice type options work only for the Greeting function. If enabled, allows the Voice Type Selector to obtain any voice type such as opposite gender or creature voice. Also the voice type will be applied to combat voices. The "Lun..." bug fix for the 'Marked for Death' shout is included. 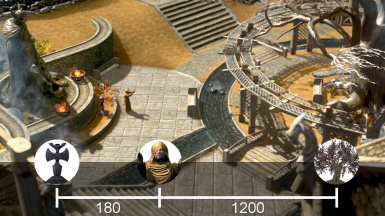 Added 'Tracking Distance' option which sets how far the player can keep looking at the target. Conversely, sets the distance that the automatic stop option starts to work. If enabled, stops the crosshair detection and the Automatic Stop for the specified seconds when the targeted NPC is trying to speak to the player. Added 'Exception Filter: Inanimate Actors'. Excludes inanimate actors (NPCs that are in dead state, not reanimated corpses.) from the crosshair detection. Added Greeting options. Now you can annoy back to NPCs by repeating "What do you need?". Updated the script to avoid "Assigning None" error which could occur when the Facial Expression option is enabled. The expressions can be set for each relationship ranks, so you can set it depending on your character's personality. Updated the scripts to avoid error("no native object bound to the script object, or object is of incorrect type") which rarely occurs under certain situations when the 'Automatic Stop' option is enabled. Added Automatic Stop option also to the non MCM version. then toggle off and on to make it take effect. Added 'Crosshair Activatable Range' option which sets how far the player can activate the crosshair target. Note that this could be used also for cheating. RefreshINI/RefINI command will override this setting. 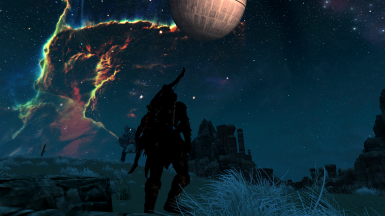 For non MCM versions, it can be set in the Skyrim.ini. Changed the validation method for talking activators for smoother behavior. Added a lesser power to toggle the function. Q: Head tracking does not work. The following may fix it. Toggle the function off and on with the MCM, drawing and sheathing weapons, or switching PoV. Use voices by using dragon shouts, the greeting function or sprinting etc. Also, it is recommended to check compatibility issues (whether other head tracking related mods are installed or not). For example, the latest Immersive First Person View has its own head tracking function and it conflicts with the other head tracking mods. If needed, you can disable Immersive First Person View's head tracking function by the following settings. Q: Head tracking ends up working for unintended/unexpected actors. This is caused by the vanilla AI which rarely overrides the modded head tracking. 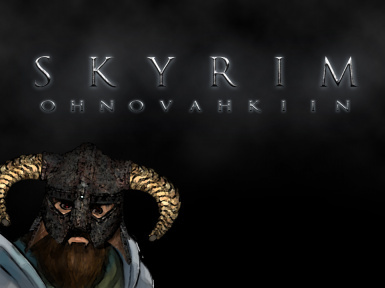 This mod keeps it enabled for stability and smoother behavior. Q: My character still keeps head tracking after the uninstallation. Use the following console command to disable head tracking for the player character. This can also be avoided by following the uninstall instructions. Q: Some voice types seem to not be working. The Greeting function may not work for the voice types below "Young Eager" in the Voice Type Menu. For details, see the "Supported Voice Types in the Voice Type Menu" section. Q: It does not change the combat voices. By default, the voice type selection works only for the Greeting function. Enabling the Unrestricted Mode will allow the selected voice type to be applied for the combat voices. Q: It does not play the custom voice events (which should be played when reading a book, sitting on a chair, or entering a house etc). It requires audio files (or a voice pack) to be installed, and to enable the "B.Y.O. Voice Type" option. Also, some of the events will not be triggered when sneaking or in combat. 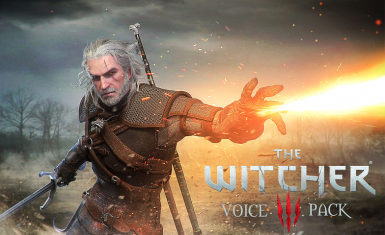 Q: I have installed a voice pack but it does not work. "B.Y.O. Voice Type" option is required to be enabled. Q: My character no longer says anything. It is a vanilla bug which occurs after the player entered bleed out state. 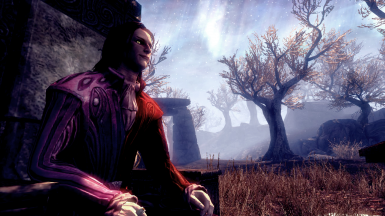 Being defeated in a brawl or Apocrypha, or a mod that makes the player essential can be the cause. This can be fixed by enabling 'Bleedout Bug Fix' option. Also, unsupported voice types may play no voice due to the lack of generic voice files. This can be fixed by setting the voice type to a supported voice type. 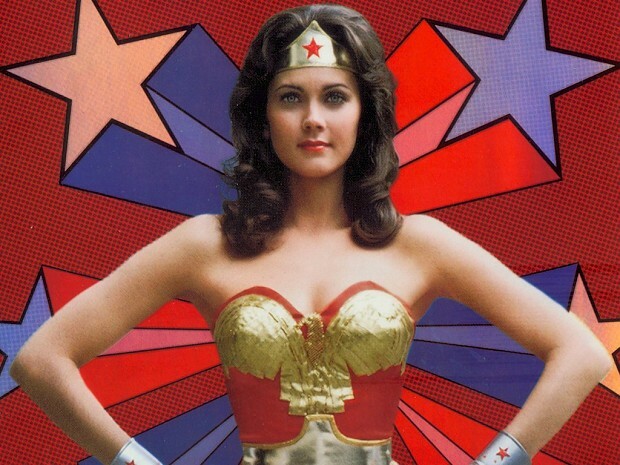 Q: I can't hear 'Power Attck' voices when the B.Y.O. voice type option is enabled. This may occur if the weapon's attack speed is high. Try reducing the fInitialPowerAttackDelay value in the Skyrim.ini. Q: It does not appear in MCM. It may take some time to be registered. Leave it until it is registered, or use console command or batch file "SetStage SKI_ConfigManagerInstance 1". FISS compatible mods may conflict with each other and cause a problem to the MCM registration process. This may be fixed by installing FISS and loading it before all the MCM mods including SkyUI. Q: Brawls end up becoming real fights. The 'Speaker Detection' option can be one of the cause. This option requires a brawl bug fix mod (e.g. Modern Brawl Bug Fix) to avoid this problem. It can also be avoided by disabling this option during the brawl. 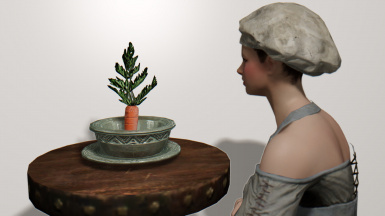 If enabled, the player character moves their head to look at something or someone. You can choose either one or both of the following methods for detecting head tracking targets. Crosshair Detection: Detects the current crosshair target unless it is a furniture object (chairs, beds etc) or behind the player. Speaker Detection: Detects a nearby actor that is speaking within the specified radius unless the actors is in Ghost state (immune to any attacks or spell effects). This function will automatically be disabled while weapons are drawn, first person perspective, and riding mounts. The behavior is smooth and does not cause periodic twitching/bobbling of the head. It is also customizable with options to your preferences, such as 'Exception Filter (excludes inanimate objects or inanimate actors)', 'Tracking Distance', 'Tracking Interval' and 'Fix Spine (moves only the head and keeps the spine unaffected)' etc. Fixes a vanilla bug that disallows High Elf vampires to use head tracking animations. 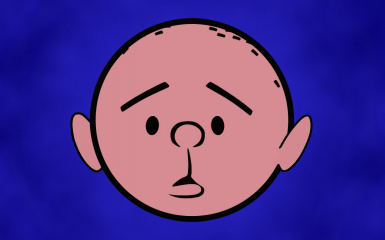 Allows the player to make a facial expression when the head tracking is active. This option also enables eye tracking animations. Allows the player to greet someone when the greeting hotkey is pressed. 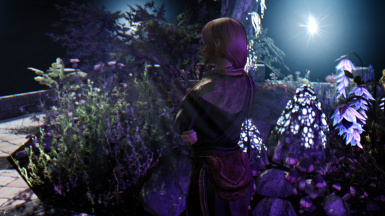 Automatic Greeting: If this option is enabled, the player will automatically greet nearby actors that have the specified or higher relationship rank with the player when the 'Speaker Detection' is active. This option does not work for summoned actors, hostile actors, current followers and the same actor per day. Also, actors in a quest scene will be ignored. You can set the supported voice types for each female and male character with the Voice Type Menu. Also you can obtain voice types from crosshair targets with the Voice Type Selector. By default, it is set to not work for unsupported voice types. With the Unrestricted Mode enabled, it can obtain any voice type from any actor with no restriction. This is useful for voice types that are not listed in the menu. For example, if you wish to use Draugr Voice, enable the Unrestricted Mode and use the voice type selector to a Draugr. It works also for characters in DLCs. Presets for some unsupported voice types can be downloaded from the Optional Files section. The "Lun... Lun Aus!" bug fix for the Marked for Death shout is included for the supported voice types. 'Bleedout Bug Fix' option fixes a vanilla bug that disables some of the player's combat voices after bleeding out (no voice when swinging weapons). This can occur after the player's health is exhausted in a brawl or Apocrypha, or when using a mod that makes the player essential. This option works also on savegames that already have this bug. With this option enabled, you can build your own voice type by installing your audio files. This option also provides additional voice events such as Jump, Horse Riding, or Friendly Hit etc. The complete list is in the Installation Guide below and the Folder Structure Reference. Working examples can be downloaded from the Optional Files section. This option is required to be enabled for custom voice packs to work. 1. Prepare 5 audio files (can be duplicates) you wish to hear when your character jumps. The format must be .wav or .xwm. 3. Launch the game and make sure the "B.Y.O. Voice Type option" is enabled in the MCM. It will randomly play one of the 5 files when your character jumps. The acceptable formats are WAV, XWM or FUZ. If your file format is not one of them, it requires to be converted. Audio converters can be downloaded at Nexus, such as Xwm Ninja, Yakitori Audio Converter, Skyrim Audio Converter, and MultiXwm. Q: Which format should I use? WAV format is most universal and supported by almost all audio editors. It is uncompressed and basically lossless at the cost of file size compared to the others. For .wav files, '41100 Hz 16 bit Mono' or lower quality, duration below 5 seconds are recommended to restrict the resource usage of the audio files. XWM format is recommended for better performance. FUZ is a format which contains audio data and mouth animation data. However, this option ignores mouth animation data, so there is no need to intentionally convert to this format. It is better to convert stereo to mono because the audio will be forced to mono in any case. Q: How do I extract .wav files from existing voice files in the vanilla game or mods? You can use Lazy Voice Finder to preview and extract voice files from plugins. 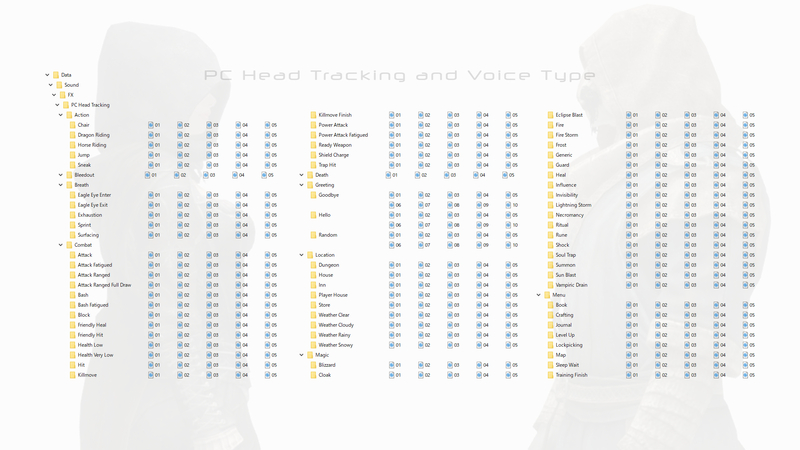 If the mod is installed correctly, there should be empty custom voice folders located in "...Data/Sound/FX/PC Head Tracking". The folder names suggest categories or events that trigger to play the audio files contained in the folder. Description text files are included in each of the folders. See also the Folder Structure Reference for the complete list of the events. Rename your audio file to one of the numbers (01, 02, 03...) and put them in the desired folder. It randomly plays one of the available numbered files in the folder. The available file numbers vary depending on the folders or categories. 10 files can be installed for 'Greeting' category and 5 files can be installed for the rest of the categories. You can leave any of the folders empty if you wish to disable specific voice events. This also means that if you did not completely fill the folders, it may play no sound when the voice events are triggered. If you don't have enough voice files for an event, for instance, only '01.wav' is prepared, you can create duplicates of the 01 file and rename them to the rest of the numbers to fill the folders. At first, "B.Y.O. Voice Type" option must be enabled in the MCM for the custom voice to work. The chance of the sounds being played can be set with the category sliders in the MCM. The custom voice volume can be adjusted with the slider which is accessible from the System tab (System > Settings > Audio). To package your audio files as a voice pack, simply copy the "PC Head Tracking" folder and compress it to a zip or 7zip file etc. To make it NMM or MO compatible, the folder structure should be like below. 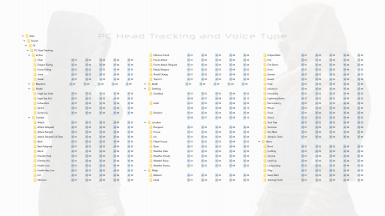 Suggested file name is "PC Head Tracking Voice Pack - (Female/Male) (Your Voice Type Name) (Version)". Before releasing it on the Nexus, please make sure it meets the rules of uploading content. B.Y.O. Voice Type option's default shout voices uses Female/Male Even Toned voice type. If you wish to change it with another voice type, use a Shout Voice Pack in the Optional Files section, or replace the files by the following method. 1. Download and extract the 'Fuz Renamer' in the Misc Files section. 2. Unpack .bsa archive if necessary. 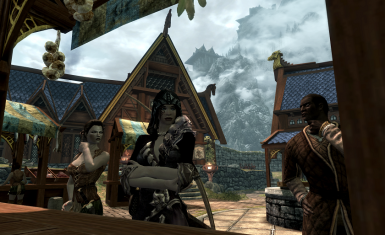 The vanilla voices are contained in 'Skyrim - Voices.bsa', 'Dawnguard.bsa' and 'Dragonborn.bsa'. 3. Choose a voice type you wish to use. 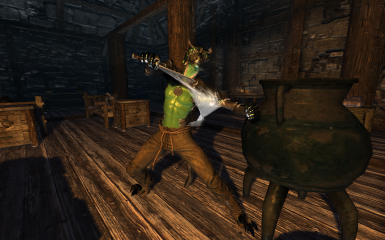 Valid vanilla voice type names are: FemaleArgonian, FemaleElfHaughty, FemaleEvenToned, FemaleKhajiit, FemaleOrc, MaleArgonian, MaleElfHaughty, MaleEvenToned, MaleKhajiit, and MaleOrc. 4. Open the following folders (in the unpacked archives) and filter the contained files in each of the folders with "shout". 5. Copy all the files in the results into 'Fuz Renamer' folder. 6. Execute the "Fuz Renamer (Dragon Shouts)" and remove the files that do not have names start with "_VP" which are not renamed. The rest should be 112 files. 7. Move the files that have names start with "_VP_" (84 files) into either one of the following folders. Create if the folders do not exist. 8. Move the files that have names start with "_VPDG_" and "_VPDB_" (28 files total) into either one of the following folders. Via a mod manager or manually merge into the Data folder and enable the .esp file. 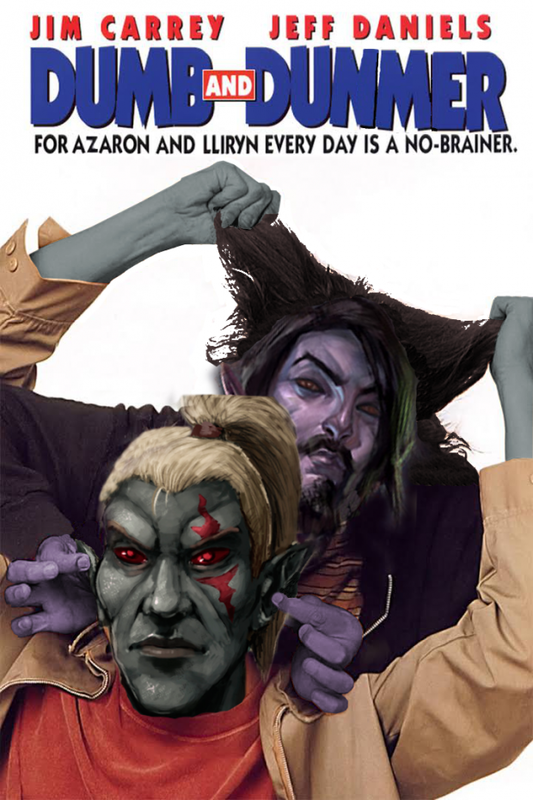 The MCM versions require SkyUI. The patch contained in the installer requires Dawnguard and Dragonborn DLCs. The Save/Load Settings function requires the latest PapyrusUtil. The 'Speaker Detection' option requires a brawl bug fix mod (e.g. Modern Brawl Bug Fix) in order to prevent the brawl from turning into a real fight. Simply remove the old version and install the new version. Clean save or new game are not necessary. 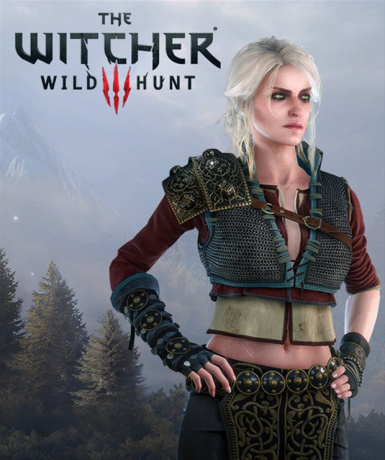 To safely uninstall this mod, the following is recommended. Toggle the head tracking function off. Disable the Unrestricted Mode and the B.Y.O Voice Type option. Set the voice type to Default. 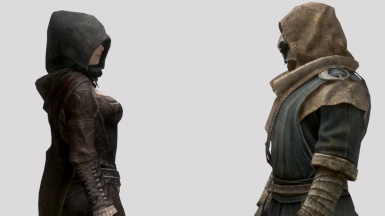 If the head tracking function is enabled, it may conflict with mods that allow or disallow head tracking for the player character. If the voice type options are enabled, it may conflict with mods that change player's voice type.